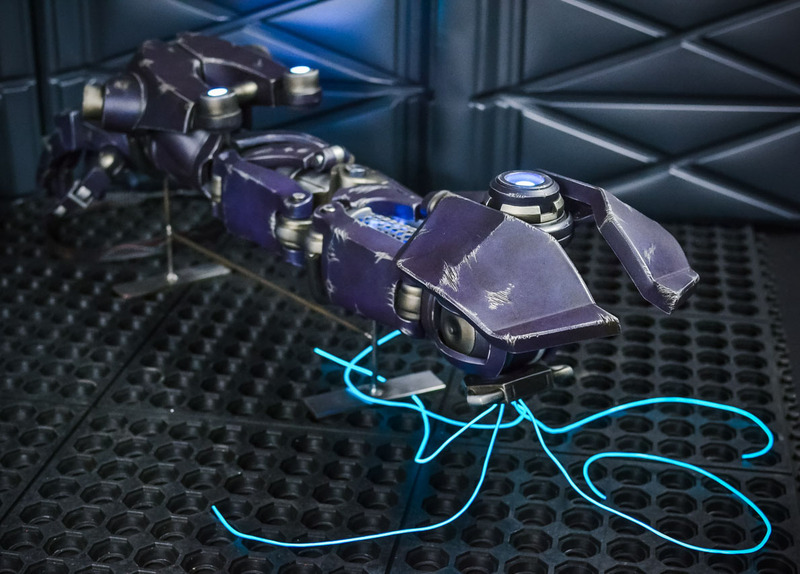 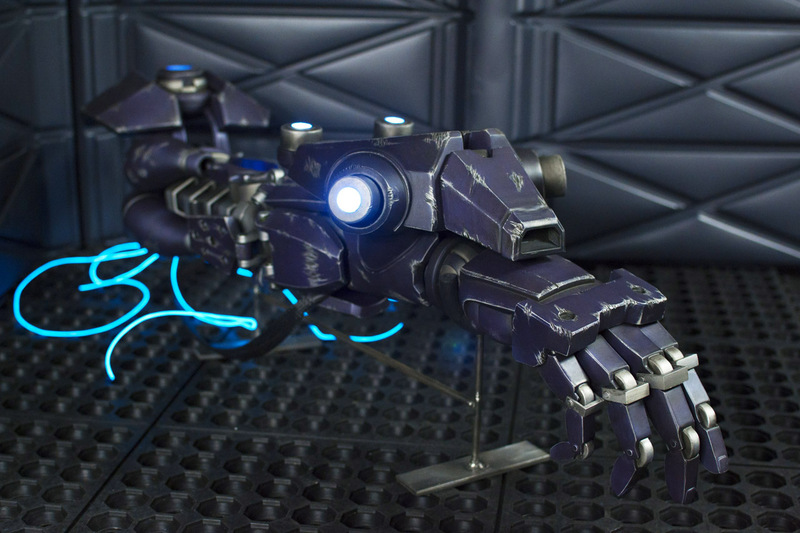 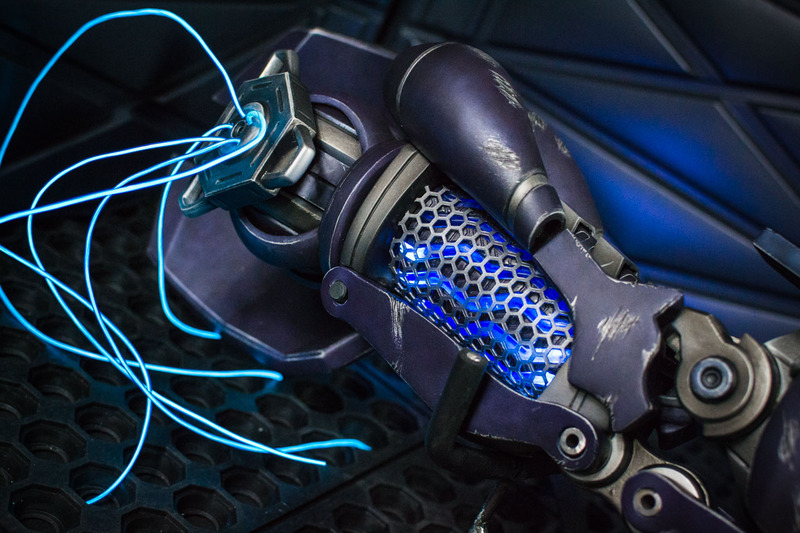 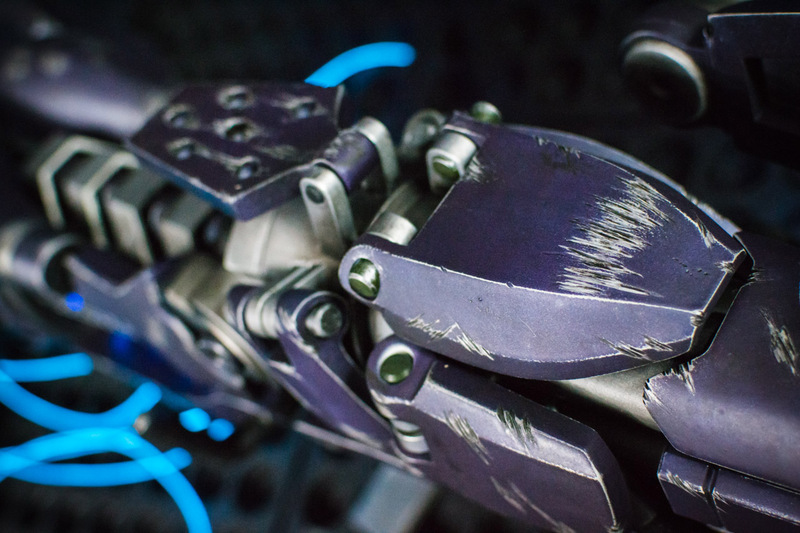 For Penny Arcade Expo 2015, 3D Realms wanted a replica of their highly complex cybernetic arm “Amiga” from their upcoming title Bombshell. 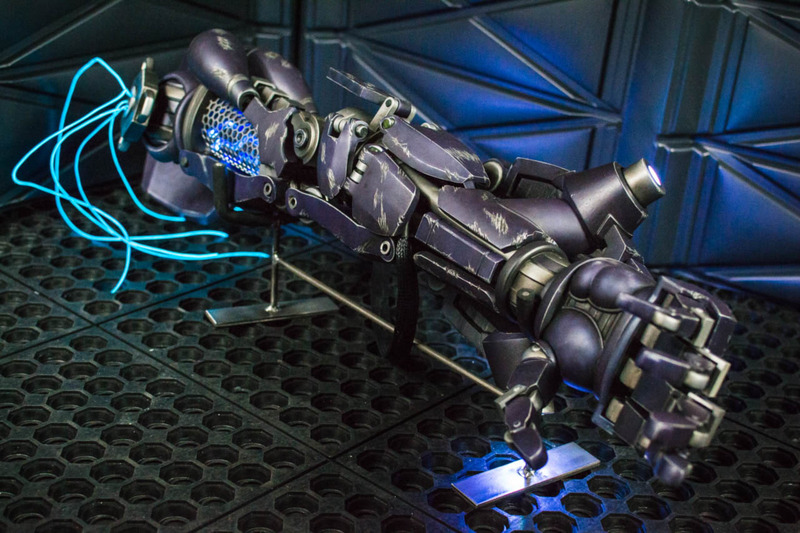 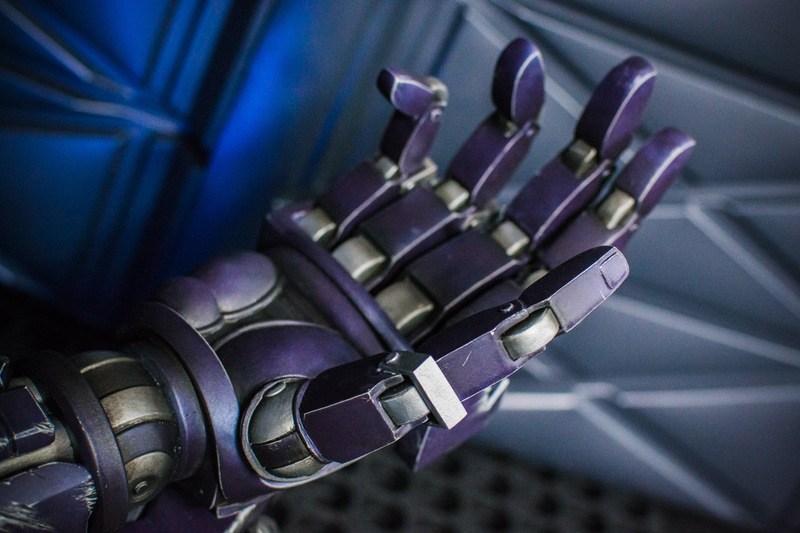 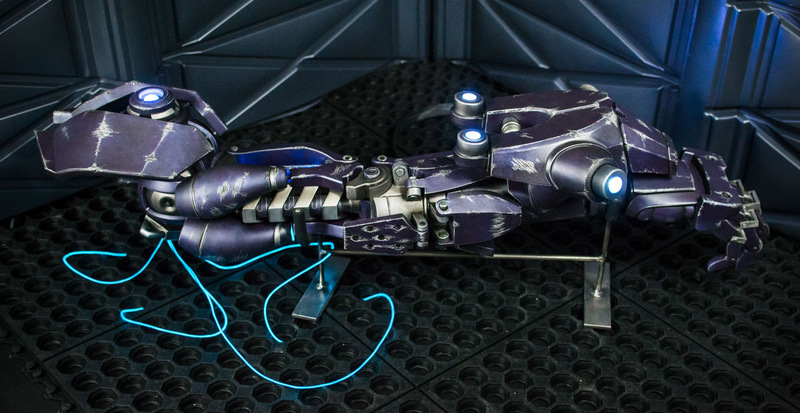 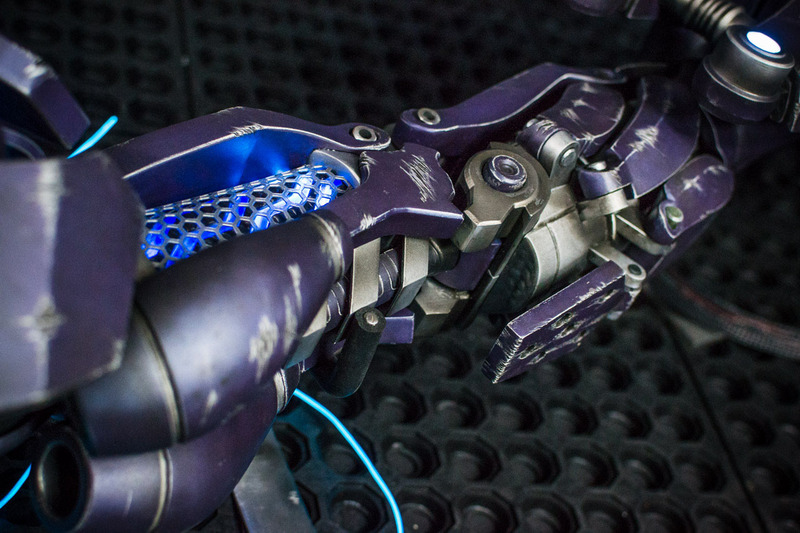 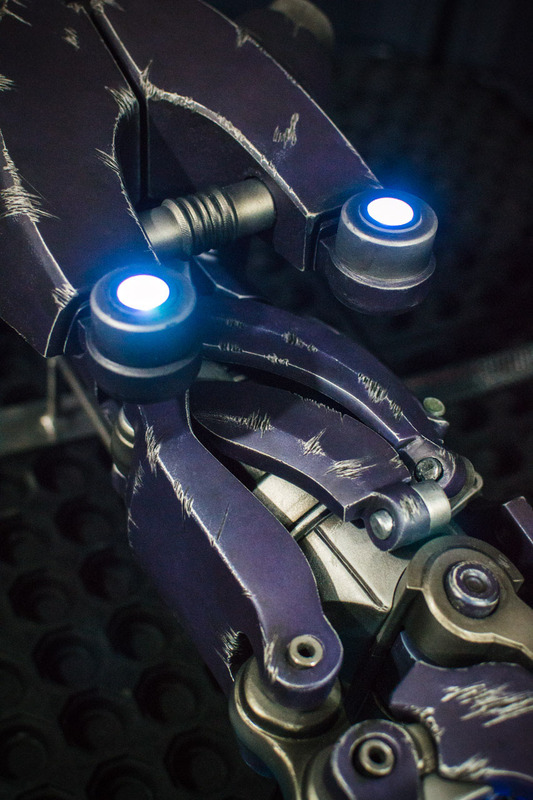 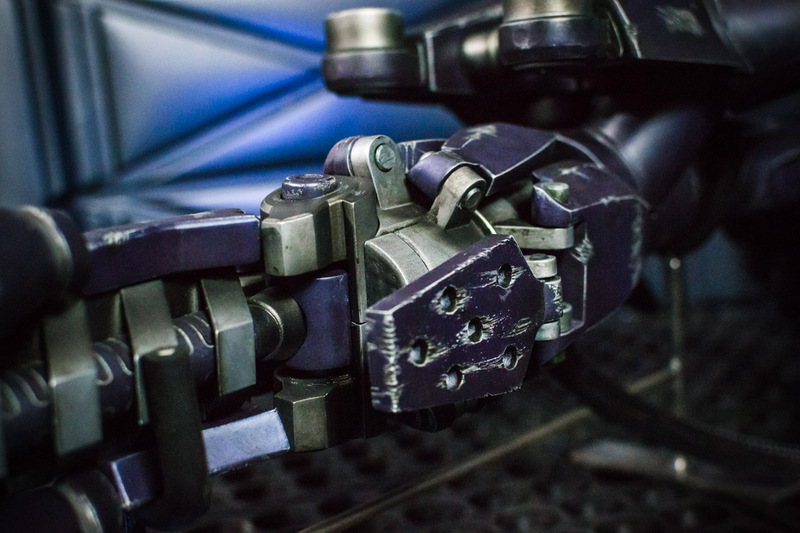 The arm itself was modeled in very high detail to expedite the build process. 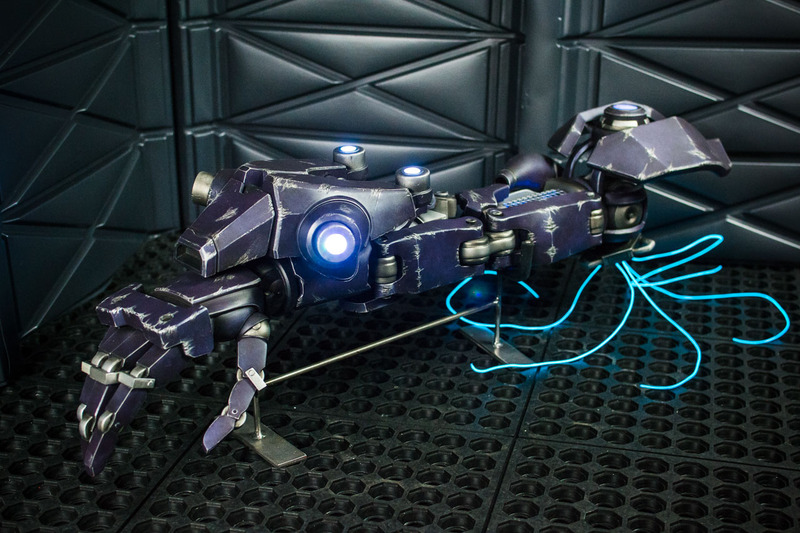 Start to finish, this piece was constructed in only four weeks. 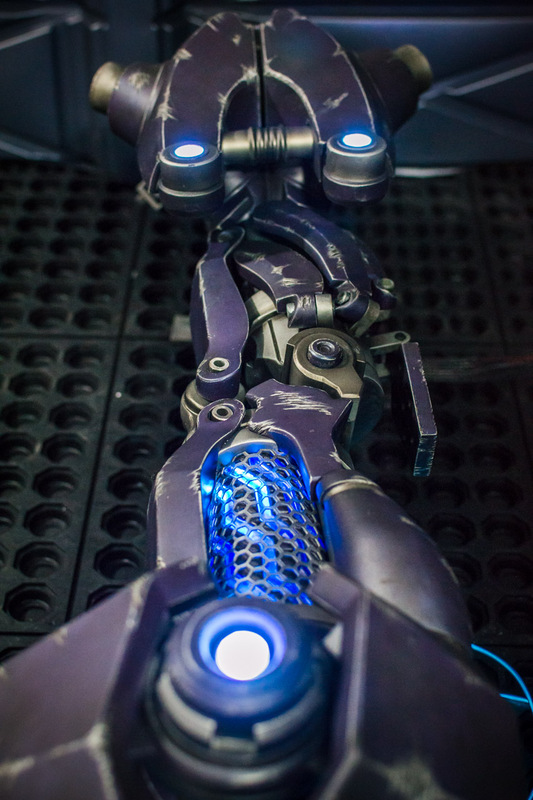 This project was a collaboration between my studio and two others in Atlanta – Gemini Mind handled scaling and alteration of the 3D model as well as production of the over 100 individually 3D printed components, while the guys over at Hex Mortis took care of parts clean up and first stage assembly of larger pieces. 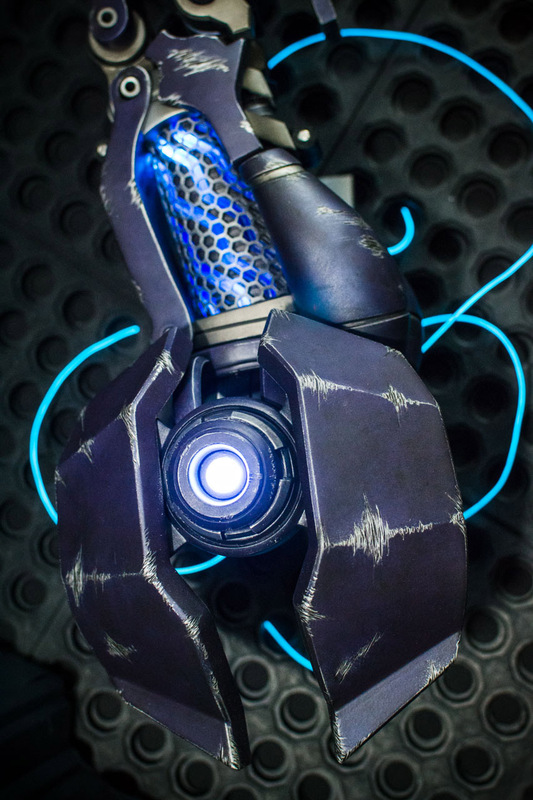 Painting, final assembly and electronics on the finished piece was taken care of by Volpin Props. 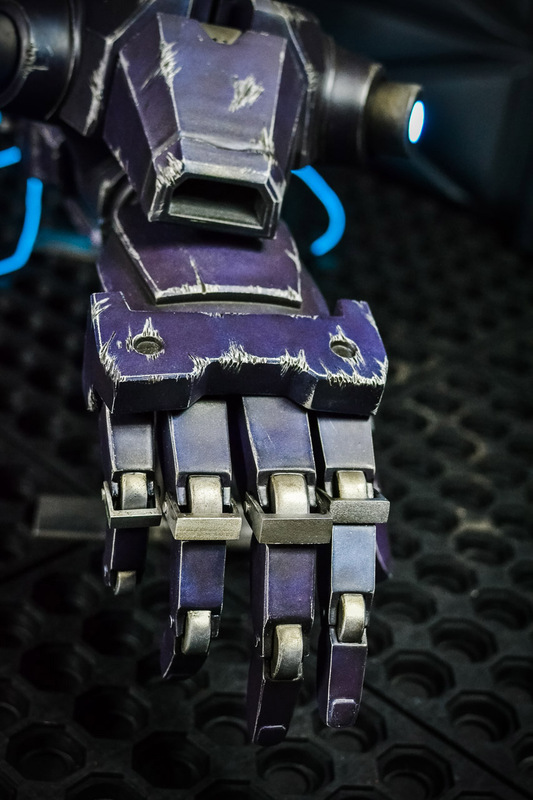 The arm features seven pulsing RGB LEDs as well as several feet of glowing EL wire, set up to run continually via wall power to facilitate display in a convention setting.